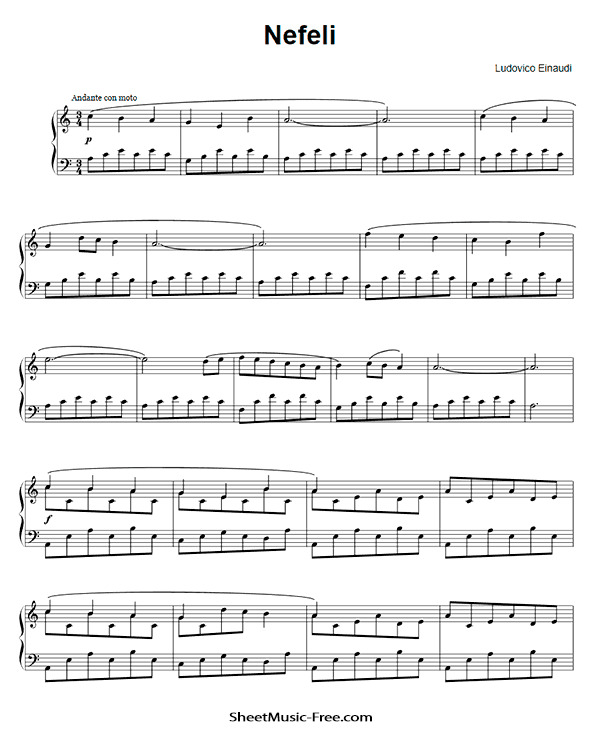 “Nefeli Sheet Music” by Ludovico Einaudi, “ Nefeli Sheet Music” for Piano, Original key: A Minor, number of pages sheet music PDF: 4, Video Piano cover song Nefeli Sheet Music. Nefeli Sheet Music Ludovico Einaudi. Ludovico Maria Enrico Einaudi OMRI (Italian: [ludo?vi?ko ei?naudi]; born 23 November 1955) is an Italian pianist and composer. He trained at the Conservatorio Verdi in Milan and under composer Luciano Berio in the early 1980s. Einaudi began his career as a classical composer, and soon began incorporating other styles and genres—including pop, rock, world music, and folk music. Einaudi composed the scores for a number of films and trailers, including The Intouchables and I’m Still Here, the TV miniseries Doctor Zhivago, and Acquario in 1996, for which he won the Grolla d’oro for best soundtrack. He has also released a number of solo albums of piano and orchestra, notably I Giorni in 2001, Nightbook in 2009, and In a Time Lapse in 2013. Taranta Project, a collaborative album, was released in May 2015, and Elements was released in October 2015.